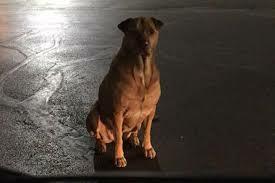 An Oklahoma woman is not lovin' it anymore and is calling out her "gold-diggin'" dog for apparently sneaking out at night to go to a McDonald's and act like a stray to scam customers for burgers. thanks for sharing noted starred. Shet may be going to a McDonald's but she thinks she is a Burger Queen! Goes to show just how smart some dogs are!